The focus of the poker world lately has been on the January opinion issued by the Department of Justice on the Wire Act, but believe it or not, other things have been going on! 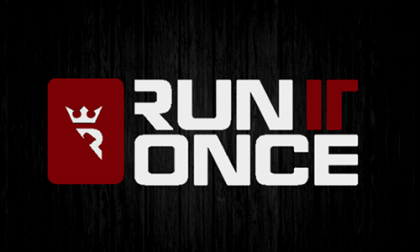 One thing that the Wire Act hubbub has distracted us from is the official launch of Phil Galfond’s Run It Once online poker room. Galfond, a long-time, successful poker pro, announced his venture something like two and a half years ago and after periods of silence, several public updates, and a closed launch, the site finally opened to everyone (in eligible jurisdictions, of course) last week. Aside from the announcement of the site’s launch date (February 6th), the last topic Galfond discussed in an update post was the rake structure at Run It Once. For most of the people who have been following the progress of Run It Once, it is a touchy subject, as those people are most concerned about rake. One of the most difficult parts of the rake system for Galfond was to strike a balance between making pros happy and recs happy. Who do you reward? 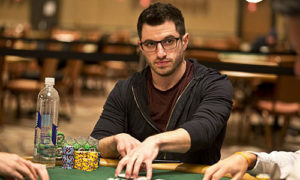 Galfond like the idea of rewarding recreational players more, as not only does it makes things more fun for those players, but their rewards tend to flow to the to the pros in the long run at the tables, anyway. Thus, Galfond and his Run It Once team decided that everyone would be rewarded equally. But even that isn’t so simple because they needed to figure out how to design the program. Galfond wanted it to be fun, transparent, engaging while not distracting from poker play, easy to collect and always claimed, and visible to everyone. He admitted that some players might not like adding variance to their rewards, but from his experience playing in high-stakes cash games, he has found that the occasional goofy, wilder hand makes for a more fun session. He added that most hands won’t be splashed and most splashes will be small. As mentioned, with Splash the Pot, rakeback at Run It once will be 51 percent. Base rake will start at 5.75 percent at the lowest stakes and decline to 4 percent at the highest stakes. There was no mention of rake and rewards for tournaments, as right now, Run It Once is only spreading cash games.